As many of you know, I was all set to attend the annual convention of the National Council of Teachers of English in Las Vegas two weeks ago and then had to cancel at the last minute. Such a disappointment after not missing this wonderful conference for nearly 30 years! But my presentation panel forged ahead without me and did a wonderful job! Headed by the amazing and generous, Janet Wong, who videotaped the entire session, along with Amy Ludwig VanDerwater, Laura Purdie Salas, Lesléa Newman, Irene Latham, and Mary Lee Hahn, the audience was treated to each poet talking about her work and creative process in the session entitled, "Theme – Collect – Excite: Where Do Poems Come From?" 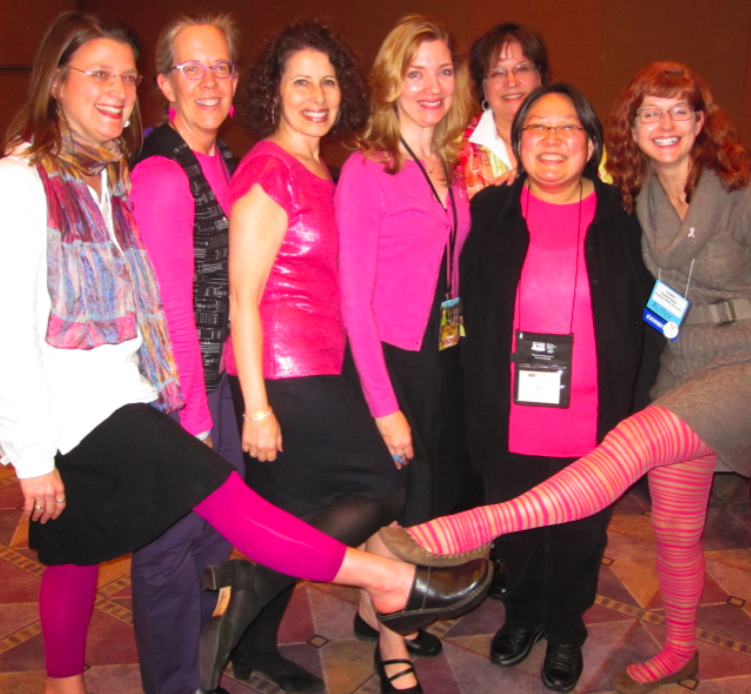 And in case you missed it, they also ALL WORE PINK in my honor-- as a tribute to my fight with breast cancer (which is now done, thank you very much!) -- the sweetest gesture ever. Here's a picture of them (along with Janet Fagal who also helped out). These ladies are rockin' the pink, don't you think?! They were even featured in Publishers' Weekly last week! I would also like to share just a teeny clip of each poet from the video that Janet captured of the session. It's always a treat to hear the poet speak and read her work aloud-- I never get tired of that. So, sit back, relax, and enjoy these juicy tidbits. Each of these poets has published her own work as well as poems featured in The Poetry Friday Anthology that Janet and I edited and published in September. What a talented crew, don't you agree?! "Janet apologizes for the poor visual quality of these videos and asks you just to imagine that it is 1967 and your TV set's antennae just won't work, even with their little balls of tin foil . . . oh, well: please enjoy the show!" Now head on over to the Poem Farm hosted by the very same Amy Ludwig VanDerwater (featured above). See you there! And don't forget to enter our poetry e-book giveaway (which ends Dec. 12). Details below. The November 2012 issue of Book Links features a focus on literature and the arts. 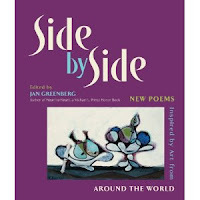 I was fortunate enough to interview Jan Greenberg, author and collaborator on many nonfiction and biographical books about contemporary artists, as well as two fantastic ekphrastic (art-based) poetry collections, Heart to Heart and Side to Side. 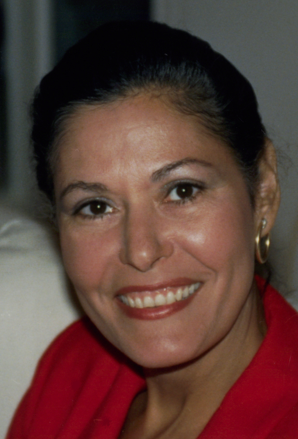 She shared the roots of her interest in art, back-stories on the creation of several books, including Ballet for Martha, the benefits of collaboration, her research process, and her views on the importance of art education. Look for "Talking with Jan Greenberg" (pp. 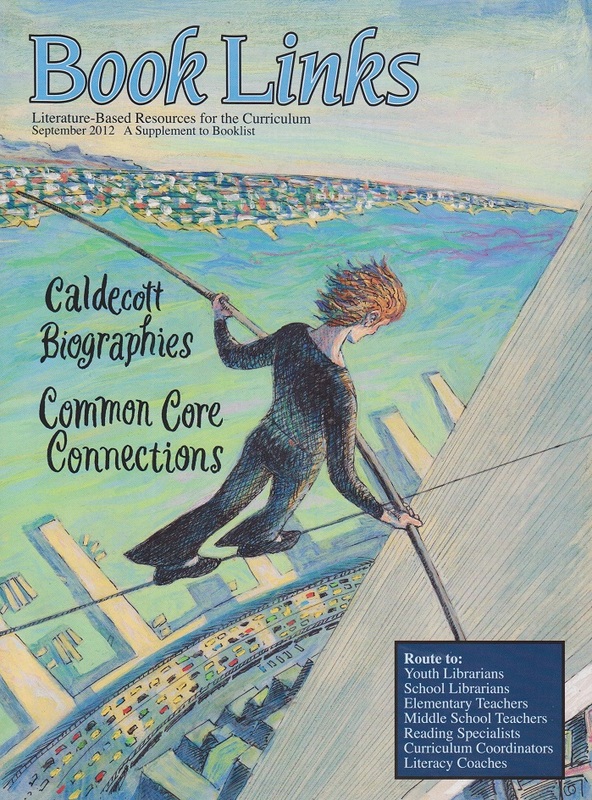 19-23) along with Common Core Connections and activities based on some of her works. Here are a few extra nuggets that were not included in the print article! Jan Greenberg: Once a guard at MOMA asked us why we were standing in front of a Jackson Pollock for such a long time. Most people, he said, last around 20 seconds in front of a painting. I might add that these field trips are accompanied by some delicious meals, much laughter, and visits to both our families. I feel as if Sandra’s Aunt Gay and her sister Nancy are my relatives too. There are studies from the Getty and other research institutions that perception in the arts improves critical thinking skills. Although I believe in the arts for their own sake, I know what a wonderful teaching tool the visual arts are for stimulating discussion in the classroom. That there has been renewed interest in nonfiction in the Common Core curriculum is gratifying to me. I write for a nonfiction children’s literature blog. I.N.K, which has introduced me to authors who share many fascinating insights about their books, classroom activities, and technical information. I also asked her about the ideal role of technology in creating and/or promoting art and poetry for young people in this digital age. Jan Greenberg: The electronic media is very important. Google any artist, artwork, or poet or poem of note and up they pop on the computer screen. One of the most valuable parts of my education was memorizing poetry and reciting it in class. I still remember the lines to Wordsworth’s “Daffodils,” Frost’s “Stopping by Woods on a Snowy Evening” and the first stanza of Chaucer’s Canterbury Tales. The rhythms, figurative language, and emotional qualities of poetry are enhanced by speaking the words out loud, by taking them in, and making them one’s own. And here is a sampling of suggested activities based on her works. 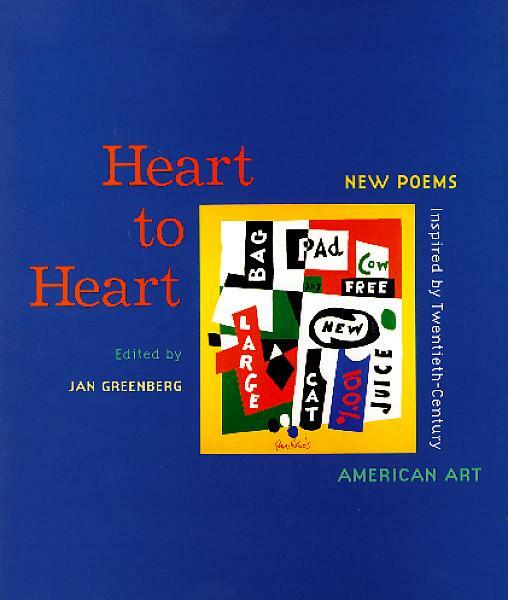 After reading selections and sharing art images from Greenberg’s Heart to Heart: New Poems Inspired by Twentieth-Century American Art and Side by Side: New Poems Inspired by Art from Around the World, invite students to talk about their favorite poem selections. Which key aspects of the art does the poem showcase in the poem? The story behind the art? The emotional impact of the art? How does the poet arrange the words, lines, and stanzas to create the poem? Poets arrange words on the page much like artists use various media to create their art. Discuss the choices in spacing, line breaks and stanzas the students notice in the poems. Then invite students to try creating their own ekphrastic poems in response to artworks. Begin by looking for compelling images from print resources like magazines, newspapers, or family photos or online resources like Flickr, Google images, or the GoogleArtProject. Students can work with a partner to choose a favorite piece, talk about the art, and create a poem inspired by the art. Then come together as a group to share art selections and new poems and post the pairs together in a class display. 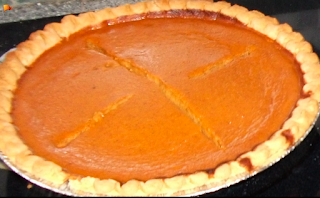 Looking for poetry to share for the upcoming Thanksgiving holiday? Here is my list of poetry books for Thanksgiving from my recent resource book, The Poetry Teacher's Book of Lists. Enjoy! Here is a sampling of poetry books about giving thanks, celebrating Thanksgiving, and enjoying food, friends, and family times. Alarcón, Francisco X. 1999. Angels Ride Bikes and Other Fall Poems. San Francisco, CA: Children’s Book Press. Carlstrom, Nancy White. 2002. Thanksgiving Day at Our House: Thanksgiving Poems for the Very Young. New York: Aladdin. Child, Lydia Maria. 2004. Over the River & Through the Woods. New York: Hyperion. Florian, Douglas. 2003. Autumnblings: Poems & Paintings. New York: Greenwillow. Grimes, Nikki. 2006. Thanks a Million: Poems. New York: Amistad. Hopkins, Lee Bennett. 2000. Yummy! Eating Through a Day: Poems. New York: Simon & Schuster. Lewis, J. Patrick. 2009. Countdown to Summer: 180 Poems for every day of the School Year. New York: Little, Brown. Livingston, Myra Cohn. Ed. 1985. Thanksgiving Poems. New York: Holiday House. Melmed, Laura Krauss. 2001. This First Thanksgiving Day: A Counting Story. New York: HarperCollins. Philip, Neil. 2004. Hot Potato: Mealtime Rhymes. New York: Clarion. Prelutsky, Jack. 2007. It’s Thanksgiving! New York: HarperCollins. Rogasky, Barbara. Ed. 2001. Leaf by Leaf. New York: Scholastic. Rosen, Michael, J., Ed. 1996. Food Fight: Poets Join the Fight Against Hunger with Poems about Their Favorite Foods. San Diego, CA: Harcourt Brace. Salas, Laura Purdie. 2008. Shrinking Days, Frosty Nights: Poems About Fall. Minneapolis, MN: Capstone. Schnur, Steven. 1997. Autumn: An Alphabet Acrostic. New York: Clarion. Shore, Diane. 2008. This is the Feast. New York: HarperCollins Publishers. Swamp, Chief Jake. 1995. Giving Thanks: A Native American Good Morning Message. New York: Lee & Low. Thomas, Joyce Carol. 1995. Gingerbread Days. New York: HarperCollins. Weinstock, Robert. 2009. Food Hates You, Too. New York: Disney-Hyperion. Wilson, Karma. 2007. Give Thanks to the Lord. Grand Rapids, MI: Zonderkids. Wing, Natasha. 2001. 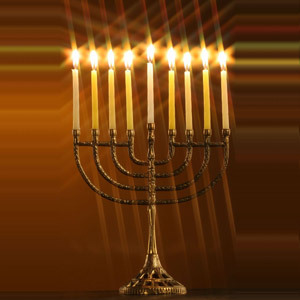 The Night Before Thanksgiving. New York: Grosset and Dunlap. Wong, Janet. 1996. A Suitcase of Seaweed, and Other Poems. New York: McElderry. Young, Ed. 1997. Voices of the Heart. New York: Scholastic. I'm wishing all my poetry-loving friends and readers the happiest of Thanksgivings. I've had my own health struggles this fall, so I am especially grateful for all the many good things in my life. Meanwhile, the lovely Anastasia Suen is hosting Poetry Friday at her blog, Booktalking. See you there! 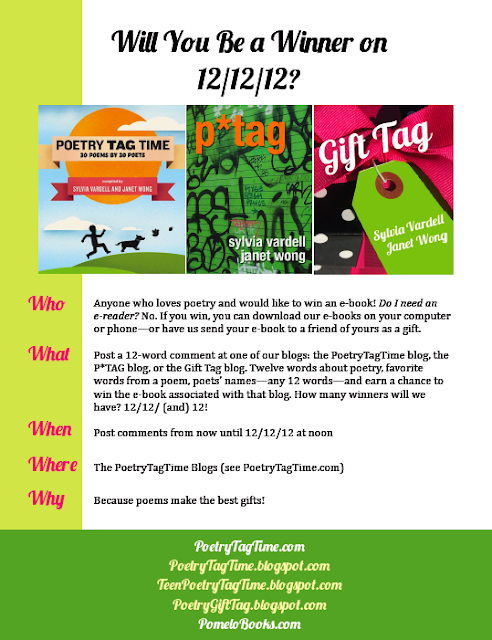 And don't forget to enter our drawing for a free poetry e-book-- details below! 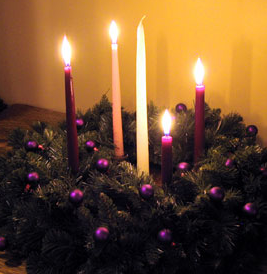 Remember, 12/12/12 is the deadline! 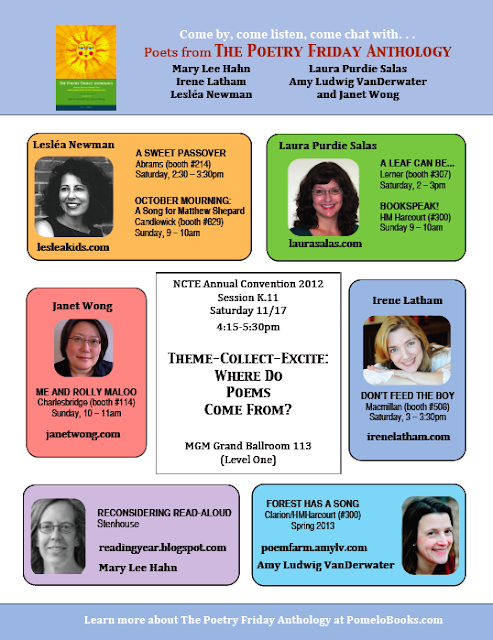 Are you heading to the annual convention of the National Council of Teachers of English in Las Vegas next week? It's one of my favorite events and I haven't missed it in nearly 30 years. Unfortunately, I have to miss this one. Darn it! So my illustrious presentation panel is moving on without me. But as you can see (above) our session is in excellent hands with an amazing group of talented poets. Note the day and time: Saturday, Nov. 17 at 4:15-5:30pm. And just in case you cannot attend-- just like me-- we're hoping to have some video snippets of the session to share with you later on this blog, so stay tuned. Meanwhile, head on over to Think, Kid, Think for the weekly Poetry Friday get-together. Here's the final installment in my series on poetry "text sets." This one is for young adults (ages 13 and up). Once again, each mini set includes 3 or more poetry books authored by one poet, focused on a single topic or theme, and formatted to be very similar in design and appearance which helps promote discussion, comparison, and analysis. This list is drawn from my recent book, The Poetry Teacher's Book of Lists available here. Nye, Naomi Shihab. Ed. 1992. This Same Sky: A Collection of Poems from Around the World. New York: Four Winds Press. Nye, Naomi Shihab. Ed. 1995. The Tree is Older than You Are: A Bilingual Gathering of Poems and Stories from Mexico with Paintings by Mexican Artists. New York: Simon & Schuster. Nye, Naomi Shihab. Ed. 1998. The Space Between Our Footsteps: Poems and Paintings From the Middle East. New York: Simon & Schuster. Nelson, Marilyn. 2001. Carver: A Life in Poems. Asheville, NC: Front Street. Nelson, Marilyn. 2004. Fortune's Bones: The Manumission Requiem. Asheville, NC: Front Street. Nelson, Marilyn. 2005. A Wreath for Emmett Till. Boston: Houghton Mifflin. Nelson, Marilyn. 2008. The Freedom Business. Asheville, NC: Front Street. Vecchione, Patrice. Ed. 2001. Truth and Lies. New York: Henry Holt. Vecchione, Patrice. Ed. 2004. Revenge and Forgiveness. New York: Henry Holt. Vecchione, Patrice. Ed. 2007. Faith and Doubt. New York: Henry Holt. Rosenberg, Liz. Ed. 1996. The Invisible Ladder. New York: Henry Holt. Rosenberg, Liz. Ed. 1998. Earth-shattering Poems. New York: Henry Holt. Rosenberg, Liz. Ed. 2000. Light-gathering Poems. New York: Henry Holt. Rosenberg, Liz. Ed. 2001. Roots & Flowers: Poets and Poems on Family. New York: Henry Holt. Philip, Neil. Ed. 1995. Singing America. New York: Viking. Philip, Neil. Ed. 1996. Earth Always Endures: Native American Poems. New York: Viking. Philip, Neil. Ed. 1998. War and the Pity of War. New York: Clarion. Philip, Neil. Ed. 2000. It’s a Woman’s World: A Century of Women’s Voices in Poetry. New York: Dutton. Franco, Betsy. Ed. 2001. Things I Have to Tell You: Poems And Writing by Teenage Girls. Somerville, MA: Candlewick. Franco, Betsy. Ed. 2001. You Hear Me? Poems and Writing by Teenage Boys. Somerville, MA: Candlewick. Franco, Betsy. 2008. Ed. Falling Hard: 100 Love Poems by Teenagers. Somerville, MA: Candlewick. Wolff, Virginia Euwer. 1993. Make Lemonade. New York: Scholastic. Wolff, Virginia Euwer. 2001. True Believer. New York: Atheneum. Wolff, Virginia Euwer. 2009. This Full House. New York: Harper Teen/The Bowen Press. Hopkins, Ellen. 2004. Crank. New York: McElderry. Hopkins, Ellen. 2007. Glass. New York: McElderry. Hopkins, Ellen. 2012. Fallout. New York: McElderry. Please let me know if you have any additional text sets to recommend for the secondary level. 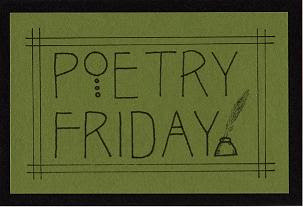 And be sure to swing by Mainely Write for the Poetry Friday gathering. See you there! Just a reminder that this list is drawn from my new resource book, The Poetry Teacher's Book of Lists. For more information, go here. Engle, Margarita. 2006. The Poet Slave of Cuba: A Biography of Juan Francisco Manzano. New York: Holt. Engle, Margarita. 2010. The Firefly Letters; A Suffragette's Journey to Cuba. New York: Henry Holt. Fleishman, Paul. 1985. I Am Phoenix: Poems for Two Voices. New York: Harper & Row. Fleishman, Paul. 2000. Big Talk: Poems for Four Voices. Somerville, MA: Candlewick. Smith, Charles R. Jr. 1999. Rimshots; Basketball Pix, Rolls, and Rhythms. New York: Dutton. Smith, Charles R. Jr. 2001. Short Takes: Fast-Break Basketball Poetry. New York: Dutton. Smith, Charles R. Jr. 2003. Hoop Queens. Somerville, MA: Candlewick. Smith, Charles R. Jr. 2004. Hoop Kings. Somerville, MA: Candlewick. Holbrook, Sara. 1996. Am I Naturally This Crazy? Honesdale, PA: Boyds Mills Press. Holbrook, Sara. 1996. I Never Said I Wasn’t Difficult. Honesdale, PA: Boyds Mills Press. Holbrook, Sara. 1996. Which Way to the Dragon! Poems for the Coming-on-strong. Honesdale, PA: Boyds Mills Press. Worth, Valerie. 1972. Small Poems. New York: Farrar, Straus & Giroux. Worth, Valerie. 1976. More Small Poems. New York: Farrar, Straus & Giroux. Worth, Valerie. 1978. Still More Small Poems. New York: Farrar, Straus & Giroux. Worth, Valerie. 1985. Small Poems Again. New York: Farrar, Straus & Giroux. Bernier-Grand, Carmen T. 2006. César; ¡Sí, Se Puede! Yes, We can! New York: Marshall Cavendish. Bernier-Grand, Carmen T. 2007. Frida: ¡Viva la vida! Long Live Life! New York: Marshall Cavendish. Bernier-Grand, Carmen T. 2009. Diego; Bigger Than Life. New York: Marshall Cavendish. If you know of other sets that are ideal for middle school, please let me know. One other note-- I probably get more requests for poetry help from middle school teachers and librarians than from any other group. GOOD NEWS: Janet (Wong) and I are already working on a middle school version of our new book, The Poetry Friday Anthology. We hope to publish that in the spring. Stay tuned for details. Meanwhile, head on over to Teacher Dance here for more Poetry Friday fun. Here is the second installment of my list of "text sets" from my resource book, The Poetry Teacher's Book of Lists. “Text sets” of books linked in some way can prompt lessons of compare/contrast and discussion of poetic voice, stylistic choices, etc. The following sets are ideal for children ages 5-12, but can certainly crossover to other ages. 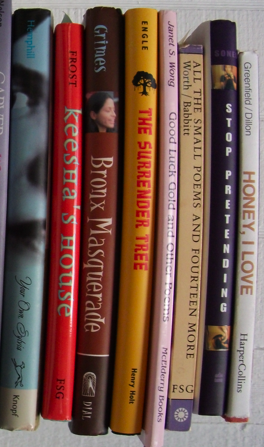 Each mini set includes 3 or more poetry books authored by one poet, focused on a single topic or theme, and formatted to be very similar in design and appearance. This aids in guiding discussion, comparison, and analysis. 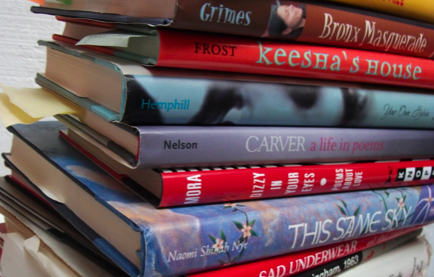 This focus on a single poet or anthologist offers the opportunity to talk about the writer's voice and how you recognize his or her distinctive style across multiple books. So many possibilities for exploration and fun. And for more about my LIST book, go here. Silverstein, Shel. 1974. Where the Sidewalk Ends. New York: Harper and Row. Silverstein, Shel. 1981. A Light in the Attic. New York: Harper & Row. Silverstein, Shel. 1996. Falling Up. New York: HarperCollins. Silverstein, Shel. 2011. Every Thing On It. HarperCollins. Prelutsky, Jack. 1984. The New Kid on the Block. New York: Greenwillow. Prelutsky, Jack. 1990. Something Big Has Been Here. New York: Scholastic. Prelutsky, Jack. 1996. A Pizza the Size of the Sun. New York: Greenwillow. Prelutsky, Jack. 2000. It’s Raining Pigs & Noodles. New York: Greenwillow. Prelutsky, Jack. 2008. My Dog May Be a Genius. New York: Greenwillow. Brown, Calef. 1998. Polkabats and Octopus Slacks: 14 Stories. Boston: Houghton Mifflin. Brown, Calef. 2000. Dutch Sneakers and Flea Keepers: 14 More Stories. Boston: Houghton Mifflin. Brown, Calef. 2006. Flamingos on the Roof. Boston: Houghton Mifflin. Brown, Calef. 2008. Soup For Breakfast. Boston: Houghton Mifflin. Grimes, Nikki. 1994. Meet Danitra Brown. New York: Lothrop, Lee & Shepard. Grimes, Nikki. 2002. Danitra Brown Leaves Town. New York: HarperCollins. Grimes, Nikki. 2005. Danitra Brown, Class Clown. New York: Lothrop, Lee & Shepard. Hines, Anna Grossnickle. 2011. Peaceful Pieces: A Year in Poems and Quilts. New York: Greenwillow. Hines, Anna Grossnicle. 2001. Pieces: A Year in Poems and Quilts. New York: Greenwillow. Alarcón, Francisco X. 1998. From the Bellybutton of the Moon and Other Summer Poems/Del Ombligo de la Luna y Otros Poemas de Verano. San Francisco: Children’s Book Press. Schnur, Steven. 2001. Summer: An Alphabet Acrostic. New York: Clarion. Schnur, Steven. 2002. Winter: An Alphabet Acrostic. New York: Clarion. Livingston, Myra Cohn. Ed. 1985. Easter Poems. New York: Holiday House. Livingston, Myra Cohn. Ed. 1987. Valentine Poems. New York: Holiday House. Livingston, Myra Cohn. Ed. 1988. Poems for Mothers. New York: Holiday House. Livingston, Myra Cohn. Ed. 1989. Halloween Poems. New York: Holiday House. Livingston, Myra Cohn. 1985. Celebrations. New York: Holiday House. Livingston, Myra Cohn. 1989. Birthday Poems. New York: Holiday House. Argueta, Jorge. 2012. Guacamole; Un poema para cocinar/ A Cooking Poem. Ill. by Margarita Sada. Groundwood. Florian, Douglas. 1996. On the Wing: Bird Poems and Paintings. San Diego, CA: Harcourt Brace. Florian, Douglas. 1997. In the Swim: Poems and Paintings. San Diego, CA: Harcourt Brace. Florian, Douglas. 1998. Insectlopedia: Poems and Paintings. San Diego, CA: Harcourt Brace. Florian, Douglas. 2000. Mammalabilia: Poems and Paintings. San Diego, CA: Harcourt Brace. Florian, Douglas. 2001. Bow Wow Meow Meow. San Diego: Harcourt. Florian, Douglas. 2003. Lizard, Frogs, and Polliwogs. San Diego: Harcourt. Florian, Douglas. 2004. Omnibeasts. San Diego: Harcourt. Florian, Douglas. 2005. Zoo’s Who. San Diego, CA: Harcourt. Yolen, Jane. 2002. Wild Wings: Poems for Young People. Honesdale, PA: Wordsong/Boyds Mills Press. Yolen, Jane. 2004. Fine Feathered Friends: Poems for Young People. Honesdale, PA: Wordsong/Boyds Mills Press. Yolen, Jane. 2010. An Egret’s Day. Honesdale, PA: Wordsong/Boyds Mills Press. Yolen, Jane. 2011. Birds of a Feather. Ill. by Jason Stemple. Boyds Mills Press. Hopkins, Lee Bennett. Ed. 2000. My America: A Poetry Atlas of the United States. New York: Simon & Schuster. Hopkins, Lee Bennett. 2008. Ed. America at War. New York: McElderry. Lewis, J. Patrick. 2005. Heroes and She-Roes: Poems of Amazing and Everyday Heroes. New York: Dial. Myers, Walter Dean. 2003. Blues Journey. New York: Holiday House. Myers, Walter Dean. 2006. Jazz. Ill. by Christopher Myers. New York: Holiday House. Lewis, J. Patrick. 1996. Riddle-icious. New York: Scholastic. Lewis, J. Patrick. 1998. Riddle-Lightful: Oodles of Little Riddle-Poems. Knopf. Lewis, J. Patrick. 2004. Scientrickery: Riddles in Science. San Diego: Harcourt. Lewis, J. Patrick. 2009. Spot the Plot! A Riddle Book of Book Riddles. San Francisco: Chronicle. Janeczko, Paul B. Ed. 2001. A Poke in the I: A Collection of Concrete Poems. Somerville, MA: Candlewick. Janeczko, Paul B.. Ed. 2005. A Kick in the Head: An Everyday Guide to Poetic Forms. Somerville, MA: Candlewick. Janeczko, Paul. 2009. A Foot in the Mouth; Poems to Speak, Sing, and Shout. Ill. by Chris Raschka. Somerville, MA: Candlewick. Vardell, Sylvia and Wong, Janet. Eds. 2011. P*TAG. PoetryTagTime. Vardell, Sylvia and Wong, Janet. Eds. 2011. Gift Tag. PoetryTagTime. Giovanni, Nikki. Coll. 2008. Hip Hop Speaks to Children. Naperville, IL: Sourcebooks. Paschen, Elise and Raccah, Dominique. Ed. 2005. Poetry Speaks to Children. Naperville, IL: Sourcebooks. Paschen, Elise and Raccah, Dominique. Ed. 2010. Poetry Speaks; Who I Am. Naperville, IL: Sourcebooks. Are there any poetry text sets that I have missed that you have found meaningful for sharing with students at the elementary level (ages 5-12)? I'll be sharing similar lists for middle school and high school in the next two weeks. Stay tuned. Join the rest of the Poetry Friday gathering hosted by Irene Latham at Live Your Poem here. Copyright Sylvia M. Vardell 2012. All rights reserved. Once we get comfortable sharing poetry with young people, it can be especially meaningful to share SETS of poetry books gathered around similarities. Such “text sets” can prompt lessons of compare/contrast and discussion of poetic voice, stylistic choices, etc. This is emerging as a very popular approach for infusing poetry throughout the reading/language arts curriculum and for addressing the new Common Core standards. 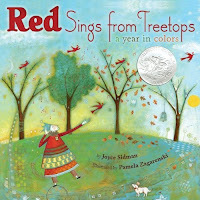 In my recent Poetry Teacher's Book of Lists, I have gathered lists of poetry text sets in four categories: for very young children (ages 0-5), for elementary aged children (ages 5-12), for middle school (ages 11-14), and for young adults (ages 13 and up). However, these are general recommendations based on overall readability and appeal. These poetry selections are certainly suitable for a much wider age range. 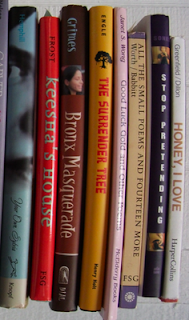 Each mini set includes 3 or more poetry books authored by one poet, focused on a single topic or theme, and formatted to be very similar in design and appearance. This aids in guiding discussion, comparison, and analysis. I'll share these lists in installments for ease of access. So, here are the poetry text sets I would recommend for sharing with very young children. Please let me know if you have other favorites that I should add. Ada, Alma Flor, and Isabel Campoy. Ed. 2003. Pio Peep! Traditional Spanish Nursery Rhymes. New York: HarperCollins. Ada, Alma Flor and Campoy, F. Isabel. 2011. Ten Little Puppies; Diez perritos. Rayo/HarperCollins. Delacre, Lulu. Ed. 1992. Arroz con Leche: Popular Songs and Rhymes from Latin America. New York: Scholastic. Delacre, Lulu. 2004. Arrorró Mi Niño: Latino Lullabies and Gentle Games. New York: Scholastic. Orozco, Jose-Luis. 1994. De Colores and Other Latin-American Folk Songs for Children. New York: Dutton. Elliott, David. 2008. On the Farm. Somerville, MA: Candlewick. Elliott, David. 2010. In the Wild. Somerville, MA: Candlewick. Hoberman, Mary Ann. 2001. You Read to Me, I’ll Read to You; Very Short Stories to Read Together. Ill. by Michael Emberley. Boston: Little, Brown. Hoberman, Mary Ann. 2004. You Read to Me, I’ll Read to You; Very Short Fairy Tales to Read Together. Ill. by Michael Emberley. Boston: Little, Brown. Hoberman, Mary Ann. 2005. You Read to Me, I’ll Read to You; Very Short Mother Goose Tales to Read Together. Ill. by Michael Emberley. Boston: Little, Brown. Hoberman, Mary Ann. 2007. You Read to Me, I’ll Read to You; Very Short Scary Tales to Read Together. Ill. by Michael Emberley. Boston: Little, Brown. Any other groupings of poetry books that you find particularly effective for sharing with young children? Or favorite activities? I welcome suggestions! Join the rest of the Poetry Friday fun at Teaching Young Writers. See you there! It's October and I hope to get my Halloween decorations out this weekend. I just love the big, round pumpkins and even the jangling skeletons and spooky black cats. But mostly, I have always loved planning the costumes for trick-or-treating and had so much fun helping my kids create whatever they could imagine-- my daughter has been a pioneer girl, a flapper, Jane Austen, Princess Leia, and an elephant (a two-person endeavor with a friend) and my son has been Luke Skywalker, a vampire, a hobo, a Ninja Turtle, and various X-Men. We would work all month to decide on our "character" and make the outfit ourselves. Good times! I don't have many occasions for costumes nowadays (although I do like wearing my crazy colored tights any day! ), but I love seeing the children in their costumes when they come to trick or treat at my door. I know Halloween is a bit more problematic these days, particularly in the schools, with a shift to focusing on "harvest festivals" or autumn celebrations. We're anxious about going door to door with children at night or encouraging candy fests in favor of healthy snacks. And we don't want to scare kids with ghosts and horror. I understand. There are some unsavory elements to Halloween (part of its appeal) and better minds than mine have analyzed the religious, psychological, and sociological implications of this "holiday." But if you're nostalgic about Halloween and enjoy some of its traditions, you may surprised to learn that many poets have explored this topic too. 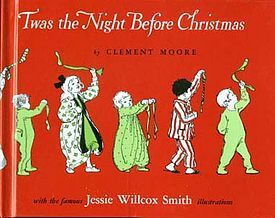 In fact, I think there are more poetry books about Halloween (and autumn) than any other holiday or season, with the exception of Christmas (and winter holidays). 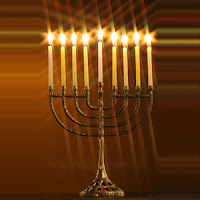 Obviously, something about this "dark" holiday has been compelling for a long time! Enough of my philosophizing and reminiscing. Time to share my list of Halloween-themed poetry taken from my recent book, The Poetry Teacher's Book of Lists. Hope you find it useful-- and please let me know if I've omitted any of your favorites. 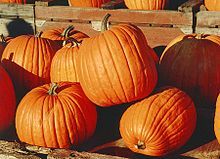 Halloween is a popular topic for poetry books for young people, along with a look at fall and autumn seasonal changes. Here is just a sampling. Brown, Calef. 2010. Hallowilloween: Nefarious Silliness. Boston: Houghton Mifflin. sDahl, Roald. 2005. Vile Verses. New York: Viking. Farrar, Sid. 2012. The Year Comes Round: Haiku Through the Seasons. Ill. by Ilse Plume. Chicago: Whitman. Florian, Douglas. 1993. Monster Motel: Poems and Paintings. San Diego, CA: Harcourt Brace. Ghigna, Charles. 2003. 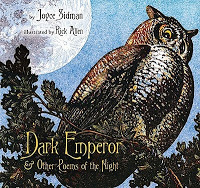 Halloween Night: Twenty-One Spooktacular Poems. Philadelphia: Running Kids Press. Gibbs, Susie. Ed. 2003. Poems to Make Your Friends Scream!. Oxford: Oxford University Press. Gibbs, Susie. Ed. 2007. Scary Poems to Make You Shiver. Oxford: Oxford University Press. Gibbs, Susie. Ed. 2006. Revolting Poems to Make you Squirm. Oxford: Oxford University Press. Hopkins, Lee Bennett. 2006. Halloween Howls; An I Can Read Book. New York: HarperCollins. Hopkins, Lee. Bennett Ed. 2010. Sharing the Seasons. Margaret McElderry. Katz, Bobbi. 2009. The Monsterologist; A Memoir in Rhyme. Ill. by Adam McCauley. New York: Sterling. Kutner, Merrily. 2007. The Zombie Nite Café. Ill. by Ethan Long. Holiday House. McNaughton, Colin. 2002. Making Friends with Frankenstein. Somerville, MA: Candlewick. Mecum, Ryan. 2008. Zombie Haiku. Cincinnati, OH: How Books. Mecum, Ryan. 2009. Vampire Haiku. Cincinnati, OH: How Books. Merriam, Eve. 2002. Spooky A B C. New York: Simon & Schuster. Moore, Lilian. 1973. Spooky Rhymes and Riddles. New York: Scholastic. Neugebauer, Charise. 2002. Halloween Circus. New York: NorthSouth Books. Prelutsky, Jack. 1976. Nightmares: Poems to Trouble Your Sleep. New York: Greenwillow. Reprinted, New York: Mulberry Books, 1993. Prelutsky, Jack. 1977. It’s Halloween. New York: Greenwillow. Rex, Adam. 2006. Frankenstein Makes a Sandwich. San Diego, CA: Harcourt. Rex, Adam. 2008. Frankenstein Takes the Cake. New York: Harcourt Houghton Mifflin. Sierra, Judy. 2005. Gruesome Guide to World Monsters. Somerville, MA: Candlewick. Sierra, Judy. 2008. Beastly Rhymes to Read After Dark. Ill. by Brian Biggs. New York: Knopf. Sklanksy, Amy E. 2004. Skeleton Bones & Goblin Groans: Poems for Halloween. New York: Henry Holt . Swaim, Jessica. 2010. Scarum Fair. Ill. by Carol Ashley. Honesdale, PA: Wordsong/Boyds Mills Press. If you like this list, you'll find even more lists in my Poetry Teacher's Book of Lists, including a list of poetry books about monsters, poetry books about superstitions, beliefs, luck, magic, dreams, and nightmares, poetry books about cats, poetry books about weather, poetry books for Thanksgiving, poetry books for Hanukkah, poetry books for Christmas, and a list of versions of "The Night Before Christmas." Check it out here and there's more info about the book and ALL the lists here. 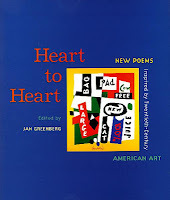 A recent review in IRA's Reading Today noted, "If you are looking for one book to help improve your teaching of poetry, then this is the one for you! This book is a treasure trove.... It would be hard to imagine a better resource for teachers and librarians. Anyone anxious about including poetry in the classroom will have all fears alleviated by this thorough book." And the lovely Laura Purdie Salas is hosting Poetry Friday today. Join her at Writing the World for Kids. See you there! Hear, Hear, Poetry Friday is Here! Yep, Poetry Friday is here and I'm happy to host our poetry party. Please share your latest doings in the comments below and I'll be rounding them up here throughout the day. And thanks for stopping by! Meanwhile, I hope you'll allow me to plug my latest poetry project (along with Janet Wong) inspired by this very tradition of celebrating Poetry Friday! It's a new anthology of poetry for children called... drumroll... The Poetry Friday Anthology. 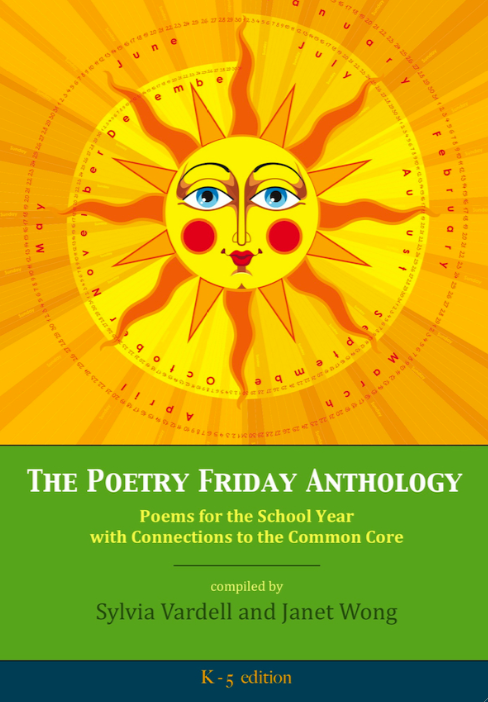 It features 200+ poems by 75 poets, plus curriculum connections for every single poem tied to the new Common Core standards (or TEKS standards in Texas). It's designed along the lines of our own blogworld Poetry Friday celebrations, providing a poem-a-week for every grade level, K-5 along with 5 minutes of skill-based activities. The Poetry Friday Anthology officially launches tomorrow, Sept. 1, and now includes both paperback and digital versions. 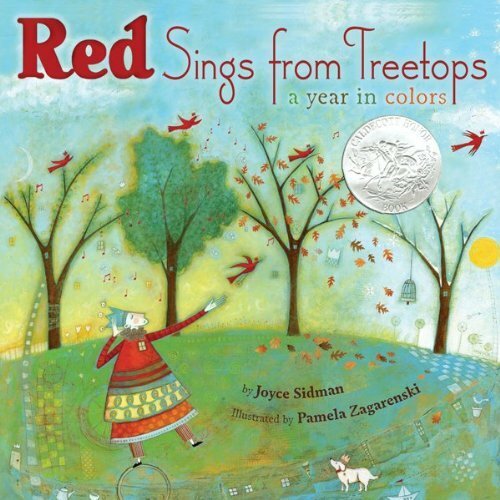 The paperback includes ALL the poems and activities K-5. The e-books can be purchased as the entire K-5 collection, or simply for a single grade level K, 1, 2, 3, 4, or 5. The added beauty of the e-book versions is that you can project the poem (via computer and Kindle app) and the e-book is searchable, so you can look quickly for alliteration, haiku poems, or poems about armadillos, for example! We hope you'll give it a look and help us spread the word. All the books are published by Pomelo Books and available at Amazon now. Please check out our Poetry Friday Anthology blog for information about the Poetry Friday Mini-Grants we're offering, too! Meanwhile, welcome to our back-to-school Poetry Friday celebration! First up, Diane Mayr shares poet insights at Random Noodling. Poetry by the mill girls of Lowell, MA is highlighted at Kurious Kitty and Kurious K's Kwotes. Astronaut Neil Armstrong is remembered by The Write Sisters. Jone shares an original poem here. Myra Garces-Bacsal shares a gem by Naomi Shihab Nye at Gathering Books. Linda offers us a found poem about today's blue moon at TeacherDance. Look for an original "trimeric" poem by Steven Withrow at CracklesofSpeech. 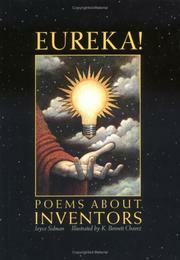 Ed DeCaria features a poem and a POEMETRICS preview at ThinkKidThink. Vikram Madan offers an original humorous poem here. Tabatha is sharing poems by Steven Withrow today here. Look for three poem parodies by Renee LaTulippe at NoWaterRiver. 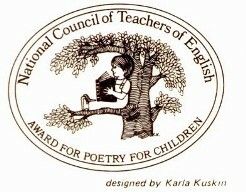 Jeff Barger features A Poem as Big as New York City ad NCTeachersStuff. Mary Lee Hahn offers a poem-quote from e e cummings at A Year of Reading. Liz Steinglass gives us some back-to-school haiku here. Robyn Hood Black explores imagination and change today here. Joy Acey explores the LAI verse form in honor of the blue moon here. Katya shares a Dickinson poem about the owl outside her window at WriteSketchRepeat. Matt Forrest shares his "Poet of the Week" feature at PACYA this week and here. 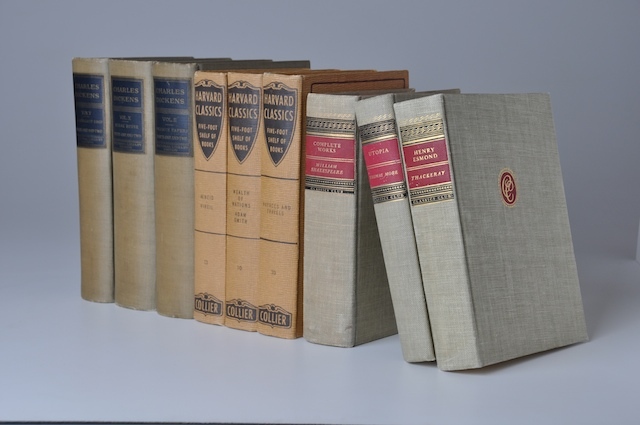 Explore childhood favorites like Robert Louis Stevenson's "The Swing" at Author Amok. Heidi Mordhorst toots the Poetry Friday (anthology) horn at MyJuicyLittleUniverse. Irene Latham gives us a "nerdy" poem in a guest post at the Nerdy Book Club. Jama Rattigan highlights gems from Dare to Dream (also launching tomorrow) here. Tara honors activist and writer Joshua Casteel with a poem by Edna St. Vincent Millay at A Teaching Life. Karen Edmisten gives us Emily Dickinson's to-do list here. Dori Bennet says goodbye to grandkids leaving for Africa at DoriReads. Carmelo Martin highlights poems from the new book, And the Crowd Goes Wild! A Global Gathering of Sports Poems, at TeachingAuthors. Andromeda Jazmon Sibley shares a back-to-school "lai" poem at A Wrung Sponge. Gotta run now. Will post more later, so please keep the comments coming! Thanks, gang. Douglas Florian considers the question, "Can a robot join Facebook?" at FlorianCafe. Pentimento is celebrating the beginning of another school year with Paul Zimmer's poetry here. Charles Ghigna shares a new poem inspired by The Poetry Friday Anthology at Father Goose. Newcomer Mrs. Merrill joins us in sharing a quote from Sharon Creech and more. Violet posts three haiga called "Beach Poems" here. Ben Curran writes about A. R. Ammons at The Small Nouns. Amy Ludwig VanDerwater chimes in with a poem about last night's blue moon and Neil Armstrong too at Poem Farm. Little Willow writes about Jennifer L. Holm's book A Big Waste which features Poetry Friday, too. Alvaro Salinas, Jr. shares an original poem, "The 2nd Day of 1st Grade" here. Samuel Kent has posted five new kid-ready poems here. Tricia is sharing Russell Hoban's classic poem "School Buses" at Miss Rumphius Effect. Anastasia Suen shares One Two That's My Shoe! by Alison Murray here. And Ruth shares a Longfellow poem here. Welcome one newcomer to our midst, Perogyo, writing about soccer poems here. I think that's it for today. Thank you all for sharing these lovely, varied poetry moments! Wishing you all happy Labor Day weekends!